Are you confused by KALE the “superfood”? I know I was when I made my first purchase! In fact, I was just in a Health Food Market last week and noticed a woman standing by the kale looking pretty confused. I usually try not to get involved but I couldn’t help myself on this one. Sometimes all it takes is 2 minutes of your time to help someone sort through the confusion! It turned out it was her first visit to this store and she had two sick little kiddos at home. She was told by the physician to prepare healthier gluten-free food so she was doing her best to make it happen. Fortunately, the tidbits I offered her were exactly what she needed and since she had my undivided attention, she asked about several other products in her cart. I LOVE being in the right place at the right time! Many people want to jump on the health bandwagon and stock the refrigerator full of this green powerhouse. Like the lady in the story I told you, you also run to your local market, recipe in hand, and the recipe simply calls for “kale”. As you scan the produce section, you also may notice that there are several varieties of kale, and each variety is unique in its texture and flavor. In order to get the flavor you are striving for in your recipes, it is crucial to choose the kale that works best for that recipe. I would even highly suggest you grab a one of each and take them home to taste test the differences in each variety… just so you know what I am talking about. In this blog I want to help you understand the health benefits and nutrient content of kale, along with a quick synopsis of the types of kale, and a couple of food prep suggestions to help you and your family enjoy the flavor and versatility of this awesome green! Kale is a HOME RUN in vitamins! Kale contains Vitamin A, Vitamin C, Vitamin K, and Folate. Kale contains important minerals like manganese, potassium, MAGNESIUM and copper. Kale contains QUERCETIN, which is an antioxidant and anti-viral. Kale contains LUTEIN and ZEAXANTHIN, which are crucial for eye health and can help prevent cataracts and macular degeneration. Kale is high in IRON, which is essential for good health. Calorie for calorie, kale has more iron than beef! Kale is high in CALCIUM, which helps prevent osteoporosis. Calorie for calorie, kale has more calcium than milk! Kale is low calorie and HIGH IN FIBER! We all need more fiber in our diets, and kale is high in insoluble fiber which aids in good digestion and intestinal cleansing. Kale contains OMEGA-3 FATTY ACIDS in amounts higher than other vegetables, making kale a natural anti-inflammatory food that helps combat arthritis, asthma and autoimmune diseases. Kale is great for cardiovascular health and may lower cholesterol. 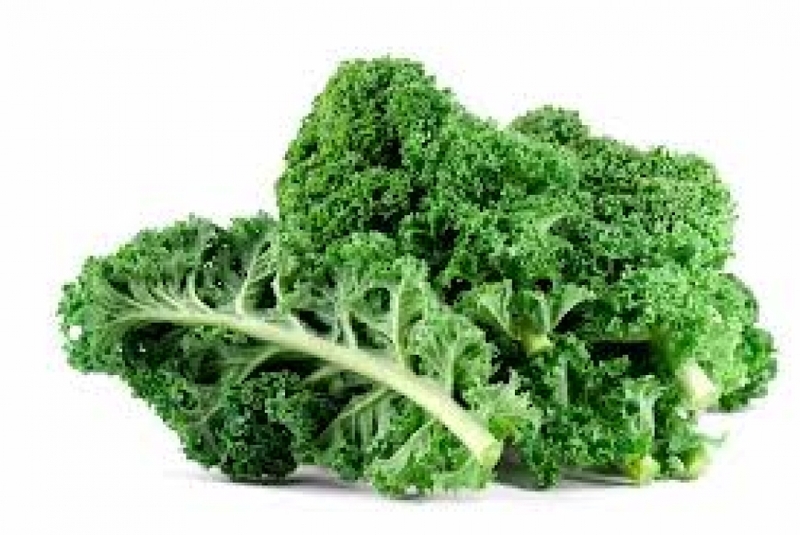 In studies kale helped decrease the damage from LDL (bad) cholesterol. VARIETIES OF KALE: Kale comes in several varieties, so here is a breakdown of the top varieties to help you choose the kale that suits your taste or recipe. CURLY Kale: The most common kale variety. The leaves are curled and can be bright green, dark green or purple in color. The flavor is this variety is more bitter and “peppery” than other varieties. As with most kale, when prepping make sure to tear the leaves from the stems and only eat the leaves. This is my favorite kale for making baked kale chips! DINOSAUR, LACINATO or TUSCAN Kale: This type of kale has all of these fun names. When you see this variety, it is dark green in color and has long, thicker and heartier-looking leaves. This variety is excellent in your raw dishes, like salads, but is my TOP choice for adding to blended smoothies. In terms of taste, this variety offers a “sweeter” and almost nutty flavor that is considerably more enjoyable than the other varieties in sweet fruit and vegetable shakes. In fact, if the kale is fresh you can barely taste it in your shake. Make sure when you are cleaning this variety to cut or tear along the stem. Personally, I do not enjoy biting into the tough stem in my salads, and find it quite inedible. Trader Joes offers a pre-cut bag of Tuscan Kale, which is mostly the rib of the kale, which I only use for cooked kale dishes. RED RUSSIAN Kale: This variety of kale looks like a large oak leaves and has a red color to the stems. In terms of taste this type of kale has a combination of curly and Tuscan kale, with a slight sweetness and some pepper flavor. Again, remove the stems as they are difficult to eat. This is my favorite kale for sautéed and cooked dishes. BONUS COOKING SUGGESTIONS: Kale works great for most cooking methods as it is hearty and holds up well when sautéed, baked or added to soups and stews. It is also amazing simply baked and seasoned as kale chips. 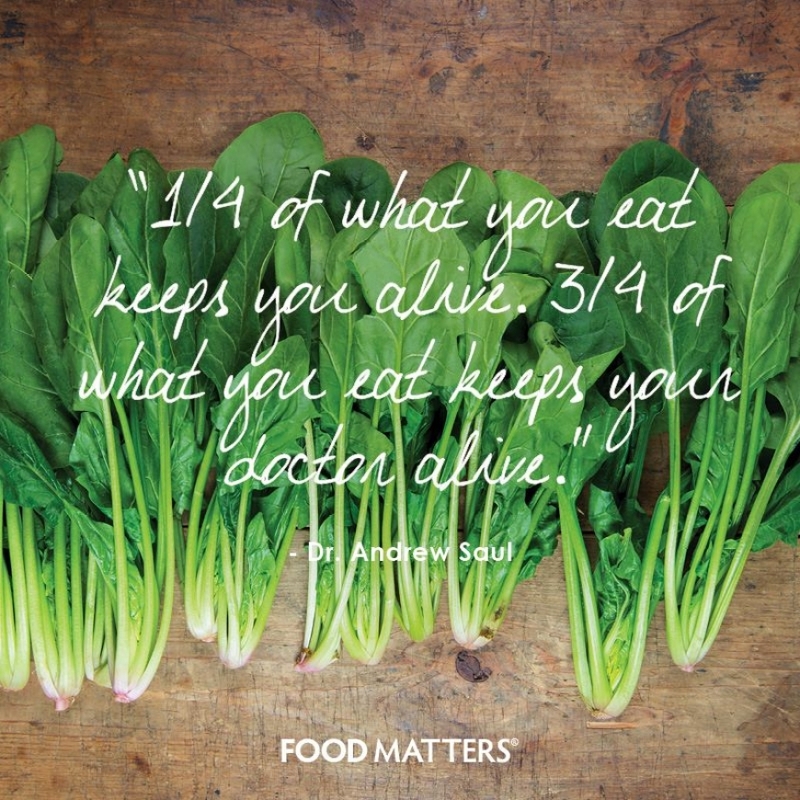 But, when prepping raw, pay attention! Not only is the variety important for your recipe, but the TECHNIQUE in preparation is critical! True Story… one evening, I was invited for dinner at a friend’s house. After reading a book, they had become vegans and wanted to show me the healthy changes they had made in food choices. The salad course were individual plates of dry, plain curly kale, with no accompaniments… just a plate of the crunchy green stuff with stems still in place. Again, the flavor of crunchy kale can be quite bitter by itself, and the leaves can also be a little “pokey” in your mouth. They did provide a salt and pepper grinder and a few varieties of oil and vinegar for a DIY dressing at the table. If I was forced to eat kale like this I may not be a fan. I don’t want you to make the same mistake! Kale is wonderful but tastes so much better if you take the time to MASSAGE the leaves. What does this mean? Massaging your food sounds a little like we are manhandling it, but we actually are giving it some love! The technique is simple. “Massaging” Kale TECHNIQUE: Clean your kale, remove the stems and pat dry. Take a couple of bunches of kale and rub the kales leaves together, repeating this with your entire batch of kale. You will immediately notice the kale starts to break down and become softer. For an added bonus of deliciousness, add some extra virgin olive oil and sea salt and massage the leaves. If you are short on time, and don’t want to massage the leaves, plan the prep the night before and toss the leaves with olive oil and sea salt and leave in the refrigerator overnight. The leaves will soften by the next day. I hope you feel like a KALE EXPERT now and if the mood strikes you, you may be able to offer assistance to someone at your next trip to your local grocer! Gluten-containing products could be sabotaging your weight loss efforts! Many individuals have an intolerance, or even an allergy, to gluten. Gluten is the “glue” that binds many baked products together, but can be found in many other food items which the manufacturers “hide” using alias names other than gluten. My personal weight loss journey was at a standstill until I discovered I had a gluten “intolerance”. Intolerance is different from ALLERGY, in that I had severe digestive issues in the form of bloating, constipation, distress and heartburn when I consumed wheat products. VERY different from an allergy that can cause shortness of breath, severe hives and even anaphylactic reactions. People who suffer from Celiac Disease have an allergy to gluten, not an intolerance. If you are at a standstill with your weight loss, you may want to trial a short-term elimination of all gluten-containing foods to see if you notice an improvement in your efforts, or you may also notice a decrease in symptoms like I was having. For more information on this topic beyond this quick video, please refer to the book, Wheat Belly, written by Dr. William Davis.